2015 Road Trip Photos #49: The Week in Cityscapes « Midlife Crisis Crossover! When we exit Indiana via southbound I-65, Louisville is always the first place to wave hi to us. When I was a kid, you could see their brownish smog-smudged sky from miles away. I don’t miss that. 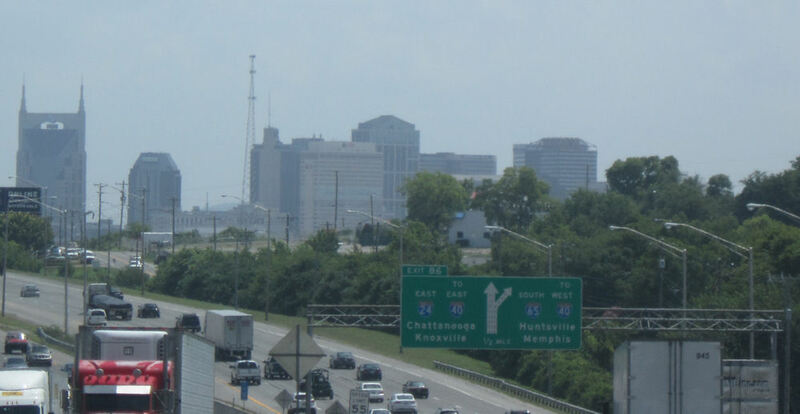 I-65 continues south through Nashville. We sped through on the way down, but spent the night on our return drive. 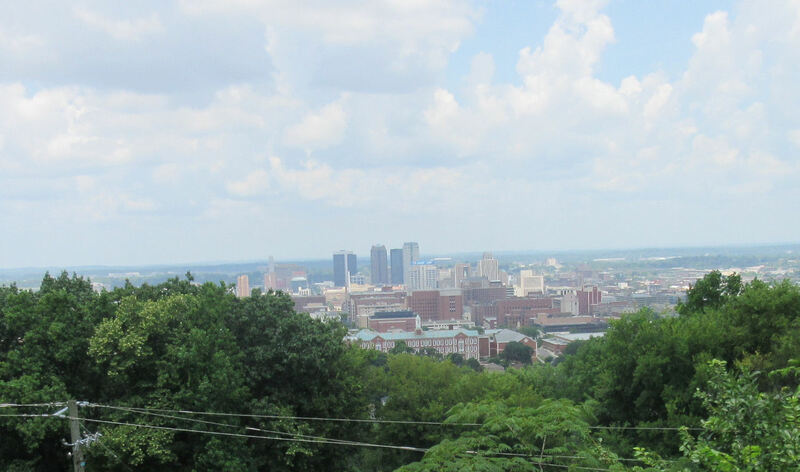 The distant view of Birmingham from Vulcan’s tower. Our first glimpse of New Orleans from I-10. It looks spacious, but then we arrived at the French Quarter, which was smaller on the inside. 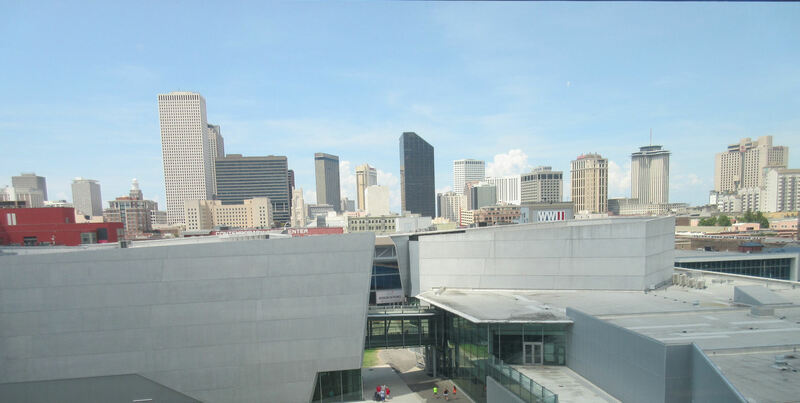 Alternate view to the west from the top of that enormous Boeing Center. 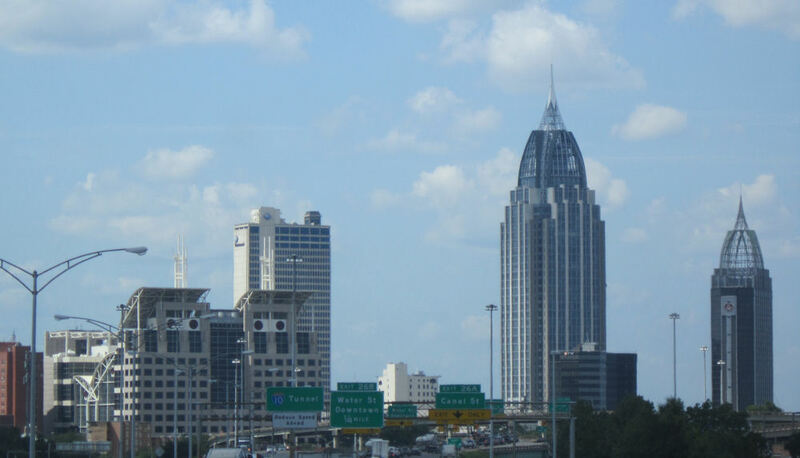 We’d hoped to wander Mobile, AL, on Day Five to check out a restaurant and hunt for oyster statues, but our extended romp through Biloxi pushed our itinerary so far back that everything in Mobile except the U.S.S. Alabama ended up as deleted stops. When (not if) we take an encore Alabama vacation someday, our top priorities will likely be Selma, Huntsville, Orange Beach, and Mobile. Through Birmingham again, this time on our way back to Nashville. In all I came about a dozen miles short of being able to brag that I’ve literally driven every mile of I-65 from end to end, from the Indiana Dunes vicinity to Mobile. 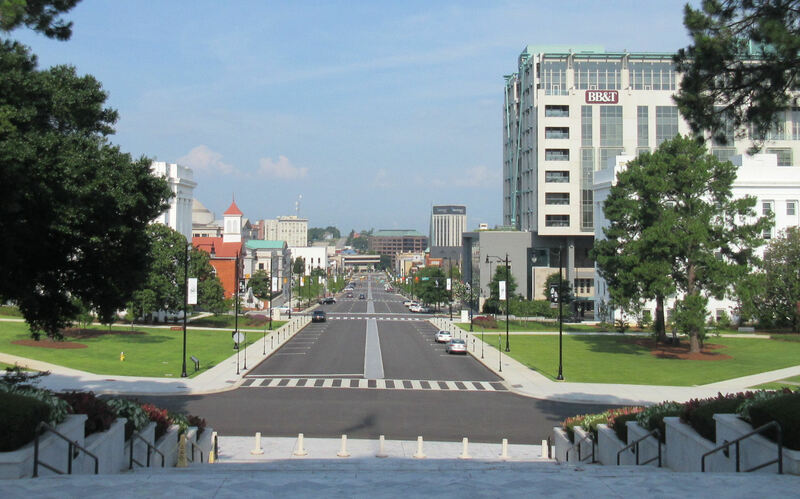 Wide open, nearly deserted downtown Montgomery at 9 a.m. on a July weekday as seen from the steps of the Alabama State Capitol. If I’d known parking wouldn’t be an issue, we wouldn’t have killed ourselves walking it through extreme heat. 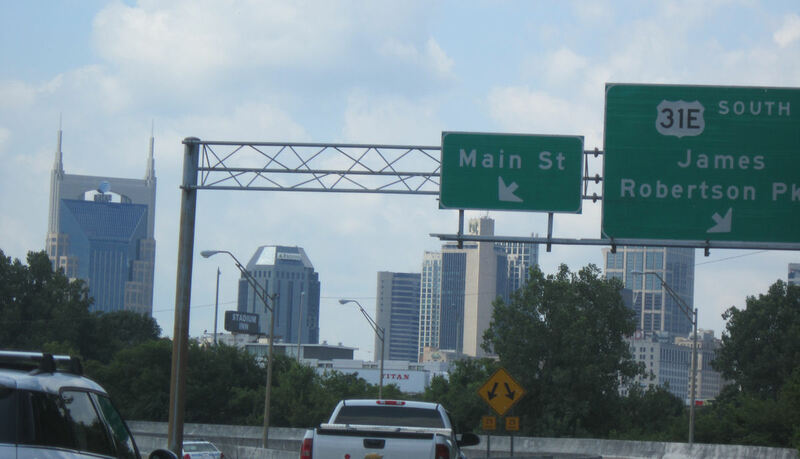 Nashville up closer, on our way into downtown to check out the Tennessee State Capitol. 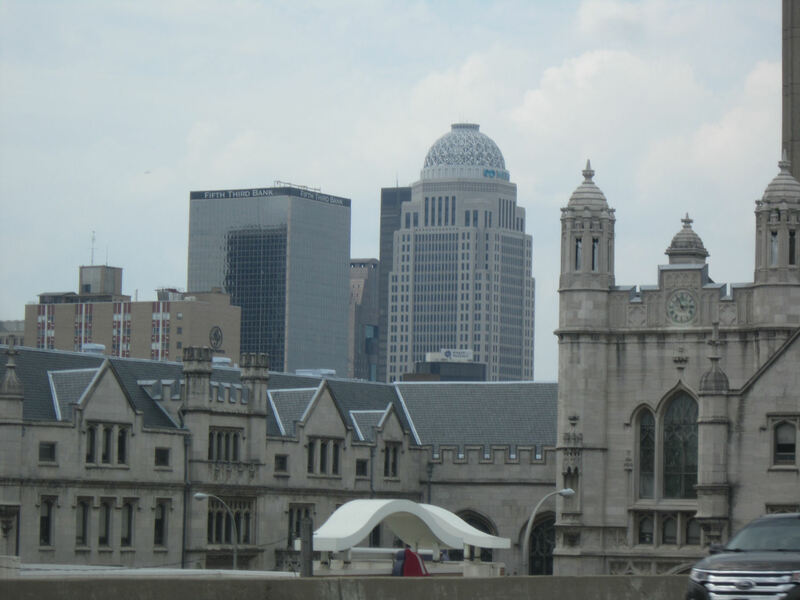 Louisville brings out its finest architecture to greet us and reassure us we were almost home. After seven days on the road, a week of sweltering heat and very little precipitation and no signs of surging hurricanes whatsoever…then we reentered Indiana to this discouraging, cosmically ironic sight. 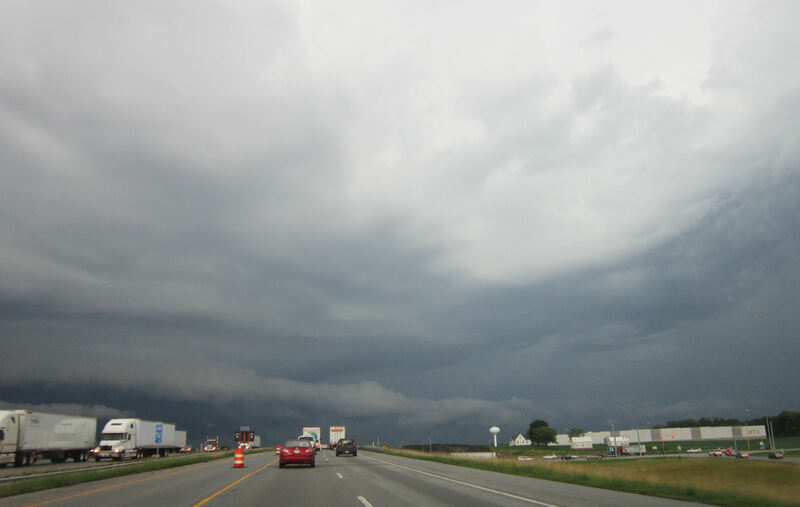 You’d be surprised how often we end our road trips with an Indiana summer thunderstorm. 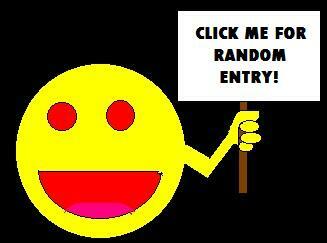 You just don’t know. So the very last hour on the very last day of our 2015 road trip gave us the scariest moments of all. We’d braved New Orleans without being murdered by all the roving murderers that the travel books told us were out for blood after every sundown. We’d endured face-melting temperatures in the French Quarter and in shade-free Montgomery. We’d avoided street scammers, didn’t have our rental car stolen, witnessed zero outbursts of mob violence, and kept our mouths shut and our manners polite at every single Confederacy hot spot. All those safety measures taken, but leave it to our home state to be the one that actively tries to kill us. My white-knuckle driving saw us through the long, dense maelstrom, but wiped out the last of my energy reserves. We celebrated our survival and our return home in a manner befitting a couple trying to transition back to humdrum everyday life: we grabbed dinner from the McDonald’s drive-thru closest to our house. We were a long, depressing distance from the New Orleans seafood scene, but we were home at last. 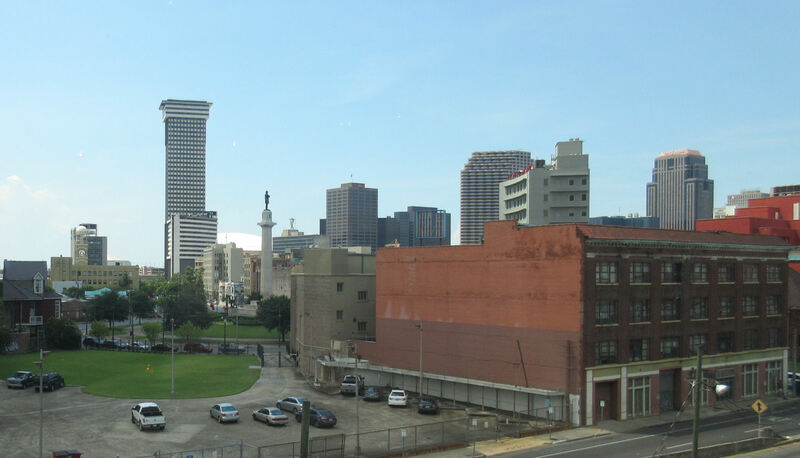 In tribute to our New Orleans experience, a couple weeks later I signed up for SiriusXM just so I could get steady fixes of jazz in my car and maybe learn a little about the several decades’ worth of music I’ve been missing. To be continued. Next time: outtakes!